November is always a unique month for me. Other months I have a mix of recipes, cocktails and restaurant posts, along with the occasional "other" food-related thing that interests me. But November is all about Thanksgiving, which means its all about recipes. Lots of recipes. 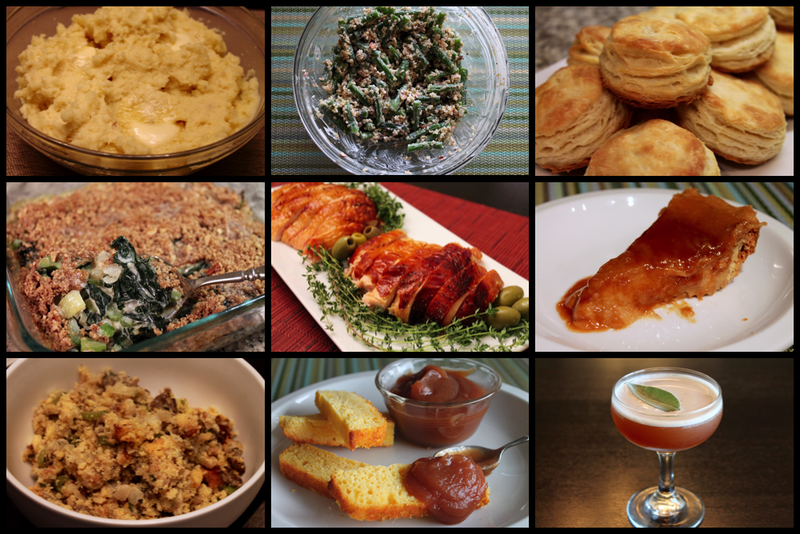 A few themes ran through the recipes I presented this year. The idea of reinterpreting traditional dishes led me to take The Silver Palate Cookbook's classic Chicken Marbella recipe and adapt those wonderful Spanish flavors into Marbella-Brined Roast Turkey Breast. Similarly, I played around with the idea that people stuff their turkeys because it gives the stuffing turkey flavor. I reserved this--using the stuffing to instead flavor the turkey with Stuffing-Brined Roast Turkey Breast. One of my favorites along these lines is the Deconstructed Sweet Potato Casserole, which reinterprets the traditional marshmallow-covered (overly) sweetened puree into a dish of roasted sweet potatoes with pecans, bacon and (just a few) mini marshmallows all brought together with a bourbon-maple sauce. Another theme was incorporating international flair into the meal. I experimented with Indian flavors in both the Indian-Spiced Nan Bread Stuffing and Roasted Brussels Sprouts with Pecans and Honey-Curry Yogurt. I turned to Mexico for the inspiration behind Sweet Potatoes with Mole and Queso Fresco. Then there were a few recipes that spoke to nostalgia and simplicity, namely my favorite recipe for Sausage-Cornbread Stuffing and a traditional take on Buttery Mashed Potatoes. And for biscuit lovers, I definitely have to mention the Butter-Flaky Biscuits. The D.C. restaurant has undeniably heated up in recent years. The latest trend is for big-name chefs from other places, namely New York, to open outposts in D.C. Danny Meyer's burgers have been winning Washingtonians over for several years now with several locations of the New York-based Shake Shack. The biggest of such imports last year was Daniel Boulud, who opened DBGB Kitchen and Bar in the downtown CityCenter development. As popular as these spots are, neither grabbed headlines the way the arrival of David Chang's first D.C.-area Momofuku has. 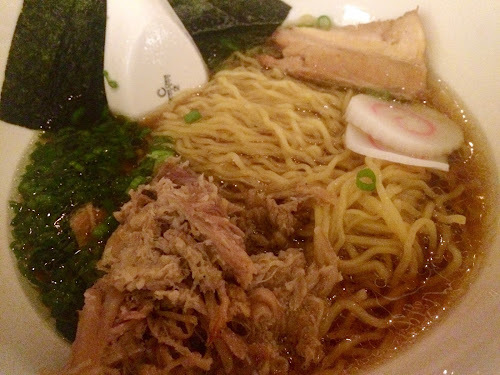 Much ink has been spilled in anticipation of the opening of Momofuku CCDC which, like DBGB, is located in CityCenter. Riding shotgun in the new restaurant's corner space is an outpost of the Momofuku bakery, Milk Bar, known for Christina Tosi's creative confections like crack pie and corn cookies. We snagged a much-coveted Saturday night reservation and enjoyed some pretty tasty appetizers, noodles and, of course, those cookies. A Sage Old Bourbon This whiskey and sherry cocktail, with flavors of cranberry, celery and sage, is inspired by the savory flavors of a Thanksgiving dinner. 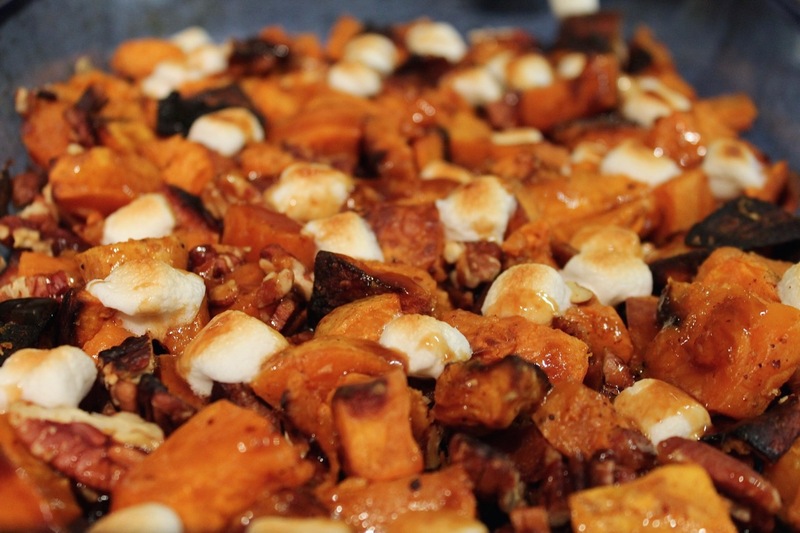 8-2-Eat: Thanksgiving Leftovers Ideas for using up what remains from the big holiday feast.